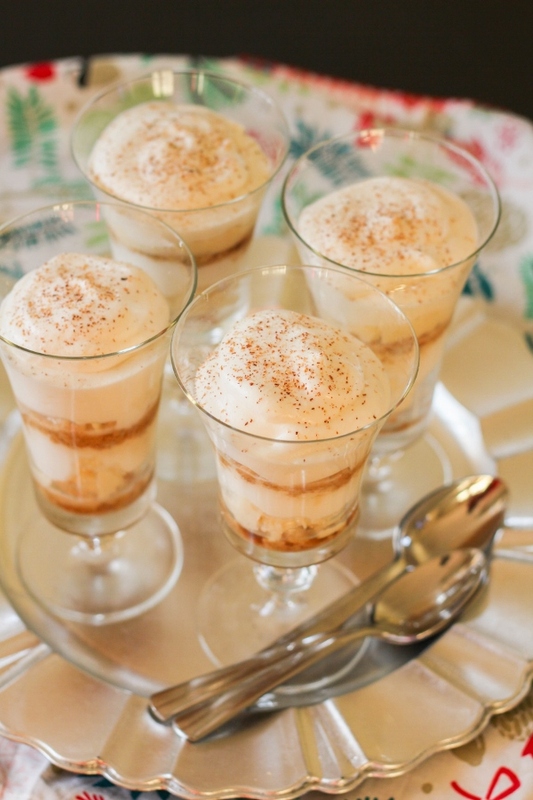 Add a festive twist to traditional tiramisu with creamy mascarpone cheese, sugar cookies, and homemade sugar cookie whipped cream! It's a dessert that's sure to impress your guests and no one has to know how easy it is to make! Now that Thanksgiving is over it's time to start thinking about Christmas. It's so hard to believe that December is just a couple of days away! One of my favorite things about the holidays is all the sweet treats I get to make. From baking all types of cookies to making some of my favorite desserts for holiday parties, I always have fun in the kitchen with my family. Of course I have my favorite traditional and family recipes, but I love coming up with new recipes as well. 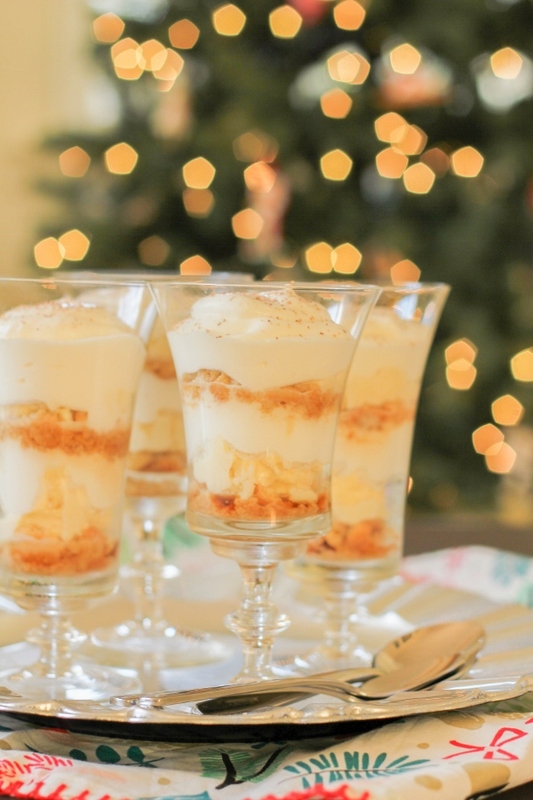 This Sugar Cookie Latte Tiramisu is the perfect dessert for your Christmas dinner or any holiday gathering you might be hosting. It's easy to put together and there's no baking involved! It's such a simple dessert, but it's also beautiful and elegant. The best part about this dessert, in my opinion, is the sugar cookie whipped cream. 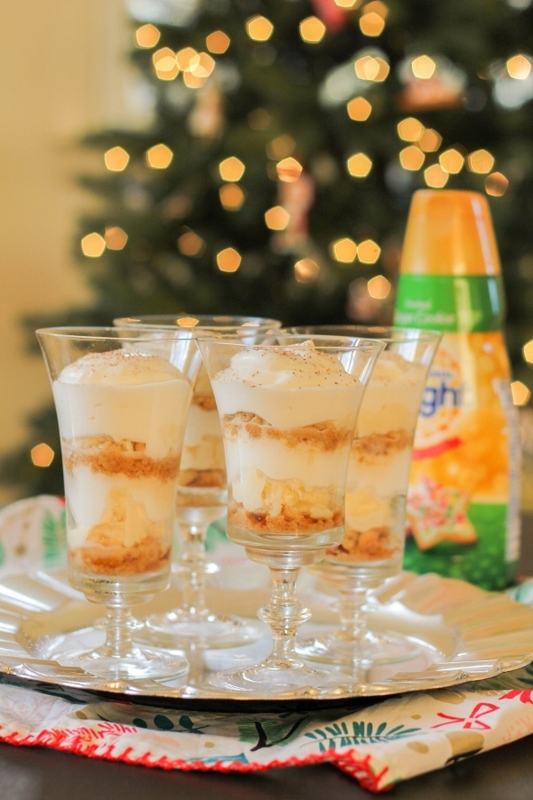 Made with International Delight® Sugar Cookie Coffee Creamer and a bit of whipping cream, it's so light and flavorful and perfect in this dessert. 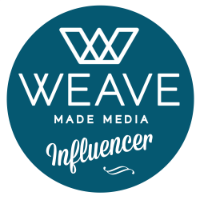 Did you know it was that easy to make your own flavored whipped cream? 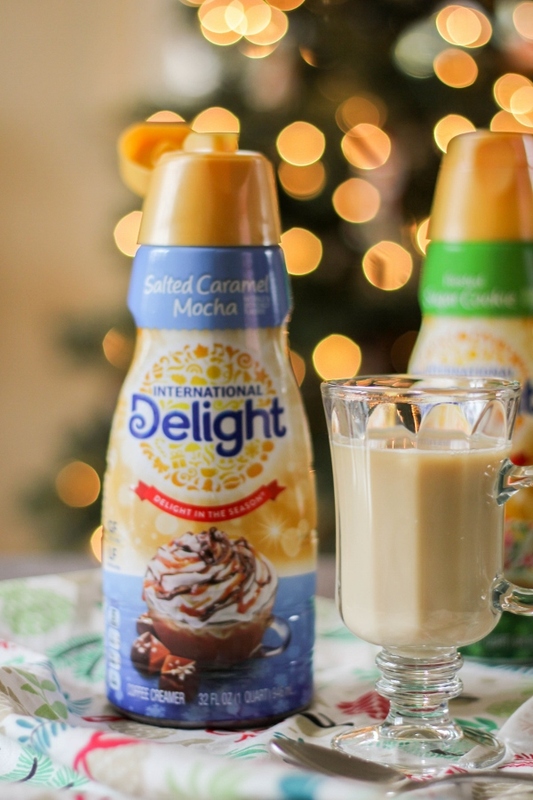 With all the varieties of International Delight® Coffee Creamers, the options are endless! I always have a couple of bottles of International Delight® in my refrigerator because I add them to my coffee every day! The Salted Caramel Mocha is one of my absolute favorites, and I love the special edition holiday flavors like this Frosted Sugar Cookie as well as the Peppermint Mocha. 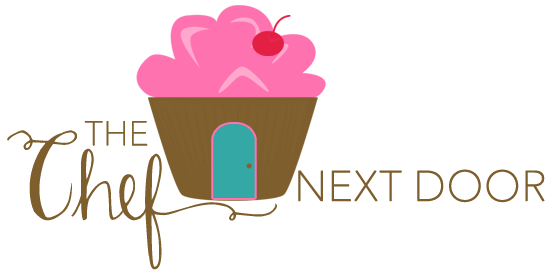 There are so many delicious flavors to choose from, I could have a different one every day! Check out the video below to learn how to make your own Pumpkin Pie Spice Frappé at home! Brew the coffee and pour it into a glass measuring cup or small bowl. Add in the sugar while the coffee is still hot and whisk well until the sugar has dissolved. Grate some fresh nutmeg into the cup. Set aside to cool. In a small bowl, beat the mascarpone cheese with a hand mixer until smooth. Add in three tablespoons of the cooled coffee mixture and mix until smooth. In the bowl of a stand mixer, or using a hand mixer, beat the Sugar Cookie creamer and whipping cream until stiff peaks form. This will take about 5 minutes or so. 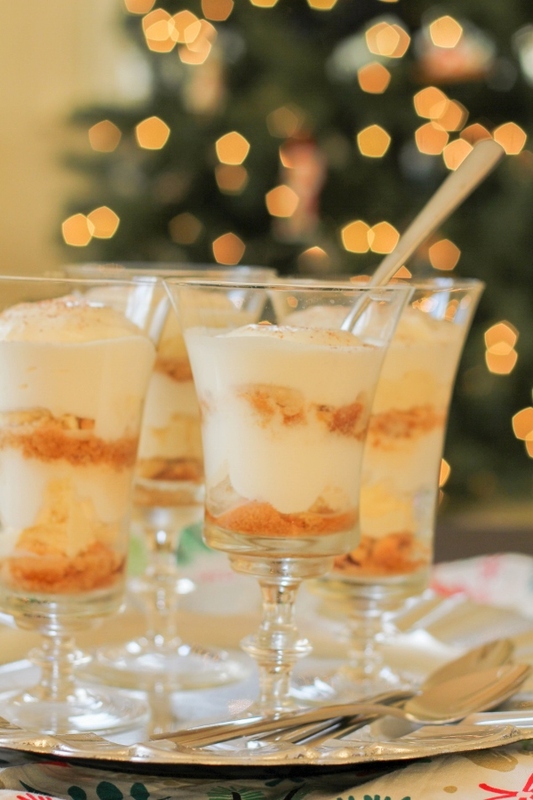 Divide half of the cookie crumbs among 6 clear dessert glasses or bowls. Drizzle about 2 teaspoons of the coffee mixture over the crumbs. Spoon in half of the mascarpone mixture to each glass, then half of the whipped cream, dividing equally. Repeat the layers. Cover the glasses loosely and refrigerate for at least 4 hours, or overnight. Just before serving, grate a little more fresh nutmeg over the top. 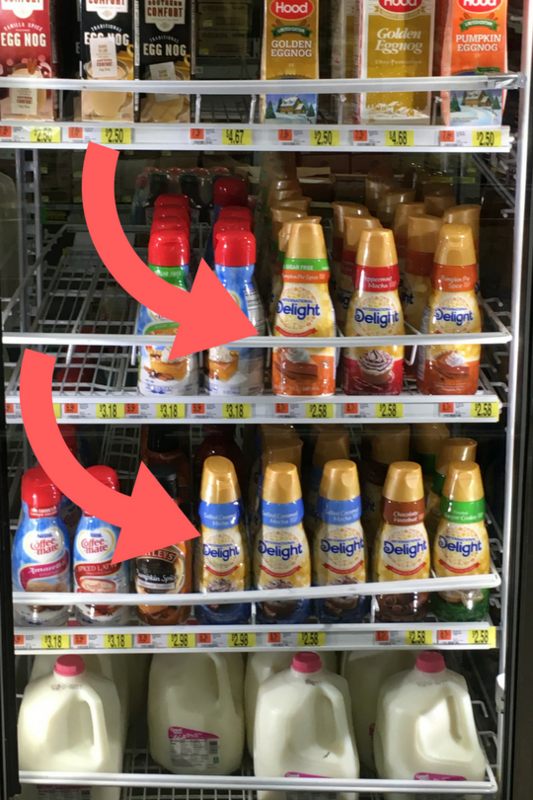 I found all of my favorite varieties of International Delight® Coffee Creamers in the Dairy aisle of my local Walmart!